Congratulations go to Steve (SplanK) for winning Car of the Month for March 2007. His awesome P11 SRi is an example of how to mega-modify!! Another CotM first, this car is the first to ever win twice!! Well done Steve, how does it feel to win CotM? Its fantastic, my name and car up in lights hehe!! It really is a happy moment especially after all the hard work I have put into the car even though I have had to cut the project short. How did you come to choose this particular car? Also, how did you come to find NPOC? Before the SRi, I had a Primera P11 1.6, silver which I bought off my dad, this was my first car and absolutely loved it, I managed to find NPOC just before buying this off my dad and started to get involved with the site ? the membership fee was sent more or less straight away! However after about a year, I was itching for more power and was already thinking of getting a Primera GT. The inevitable happened and I snapped a drive shaft, I thought perfect chance to upgrade and get the 2.0! At the time, this car was up for sale and I managed to blag my dad to take me down to Peterborough to go check it out. I drove away with it within a couple of hours of getting there, leaving one very upset previous owner who loved the car as much as I do now! When you first bought the car, was it your intention to head down the track car route and if not, at what stage did you decide to go all out? No, the actual intention was to keep it the way it was with a few little tweaks here and there to finish it off. The previous owner had really kept it in good condition and was I really pleased with the purchase. With the old 1.6, I had started building a rather loud sound system, and I had just spent about £1500 on a new amp and 2x new subs those got thrown into the SRi and ICE was the main direction for a while. I managed to hit 153dB with this system, I was over the moon as I was only aiming for 150!! 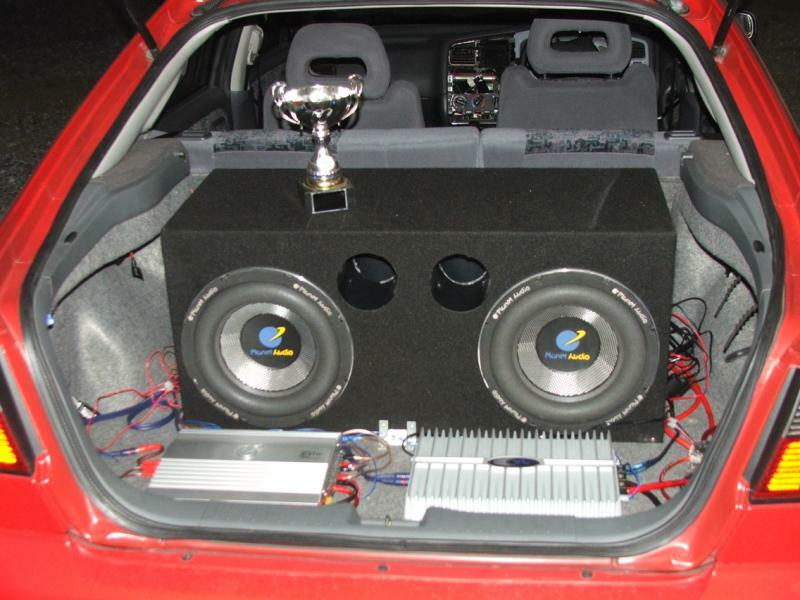 In Nov 05, myself and a few of my mates got together and went down for a Saturday night special at Santa Pod, this got me really going and I thought if I'm going do it, I might as well remove the 70Kg of subs and amps out of the boot and see what the SRi could really do. I didn't stop there, I removed the rear seats and the passenger seat, these were fairly easy items to remove. On the day I managed to get 16.3 and was pleased with the result. I got home, put all my system back in and was back to normal. Something had sparked though and I had an itch, an itch for something different. In January 06 I thought - I loved it in the stripped out style, how the car responded to having weight removed from it, I loved it that much I just went outside armed with a few spanners, a screw driver and the Haynes manual and started to fill the garage with bits of trim, sound deadening, seatbelts, anything that was removable and was not needed was removed! The project was born, but at this stage it wasn't really clear as to what my direction was, just wanted a silly quick car. This is when I started my blog on NPOC to start documenting everything I was doing. In February, I went for another Saturday night special, again getting similar results as to previous. I started to think of where I would like the Primera to go. I had always loved the look of the BTCC Primeras in the day, I could not really afford to go down silly power NA route so the idea of BTCC look, GTiR engine'd Primera was set in stone. Over 2006, I had ploughed silly amounts of money getting it read for the turbo and setup the way I wanted it to be, fitting buckets seats, new fuel pump, piggy back ECU, even more bits of car been stripped, battery and washer bottle been moved into the rear, suspension, alloys?. I started to really love the car, the way I had set it up is perfect. I can throw it into bends, it's responsive as anything and quick. In Nov 06, I went down to Pod again for what was the last time I would go with the NA engine before the proposed engine swap. I managed to get a 15.39!!!! I was expecting low 16's high 15's but to get a low 15 second 1/4 mile, I was just over the moon! However that's when it started to slow down with my mods and started thinking more about the future. What is it like living with a track car as your daily driver? You must attract a lot of attention! Driving it did start to become a chore, especially on long motorway trips. With no sound deadening, loud exhaust, road noise, induction noise, it did get on my nerves a touch. I have an in car video of my car at Santa Pod on my website, you can hear on that how loud it is! Although on short proper on a mission type drive, the car is a real hoot to drive! Haha, driving the car pre-stickers was fine, it got attention yeah as the exhaust was rather loud. However when I had the stickers on, geez, I felt as though the world had stopped and was just watching me drive past. I remember going to see my mate after I had them put on and I missed his turning. So turned around in a pub car park, it was a nice sunny day so outside was heaving with pub goers, I pulled in and everybody just stood there and stared at the car. I thought, what have I done? I sheepishly turned the car around and sped off, but what a buzz! Is this your first journey into car modification, any other cars you have worked on previously? In a way yes and no. The 1.6 that I had nearly all the work was done by somebody else, esp towards the end where I had some body work done. I simply had alloys, sound system, lowered and some custom vents in the bonnet. However with the 2.0 I did a lot of the work myself. In fact if it was not for this car, I would not know half as much as I do now. People say you should start with a simple banger, something like a K10 Micra to start learning on but really, the Primera is an easy car to work on, just requires a bit of patience and thought before just going in and attacking it! Before with the 1.6, I would be scared to do things myself. Like the drive shaft, straight away I took it to a garage to be sorted (although later decided not to get it fixed in favour for the SRi). But now, with the occasional help from my dad I will jump into things that I thought previously were something I could not do. At this point, can you tell us all the modifications you have made to the car? What is your favourite and anything you found a nightmare to do? Please note, these are the specs before I started to return it to some sort of normality! My fav mod has to be the stickers, they make the car what it is, it defines it so well. Before the stickers it just looked like on the outside and every day Primera with black alloys. However with the stickers it really does make it 'complete'. But really, everything that I added has always improved the way the car. From the suspension for better cornering, the seats to better feeling of what the car is doing, the various power tweaks to the engine to make it go quicker. As for problem mods, they have all been pretty much straight forward, there have been a few problematic ones, such as the fuel pump was a pain. Once I got over the burning sensation that petrol does to your skin, I was fine haha!! We know you were planning a GTi-R swap but the project has been abandoned. What made you decide to call it quits and stop the project? It was a tough decision as I had promised myself if Iim going to do it once, I will go silly with it so I can say I've been there, worn the T-short and wont attempt anything like it again! 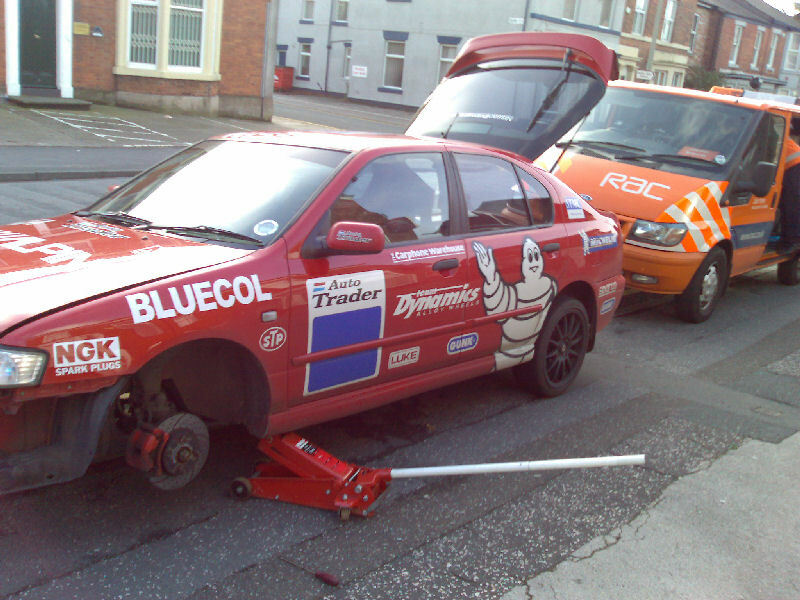 In December 06, I snapped a drive shaft, managed to get it sorted and a few other niggling things. I had also managed to collect more or less everything that I needed before I started on the engine. Towards the end of December, I started, not to lose interest. I dunno, something in me just was not with the idea any more. I sat down and worked out how much more I needed to spend and to plan my finances for the year. At that point I thought no, I cant do this, this is too much money. I'm 23, long term girlfriend and I really need to start saving for a deposit to move out of home. This is when I put the whole lot on hold, and put various parts of what I collected (turbo, intercooler, piggy back ECU, LSD insert?.) up for sale. Another reason I have had to stop it is because of my look at work and looking for work is not good. Turning up in the sticker up car gets the looks and everybody talking within the office, but with higher management? I'm sure its not going down to well. Also when turning up to interviews, it does not really set a good impression. I was in a few minds as to what to do with the car from now though. The car now is in the process of being returned to fully standard. If finances were flowing, would like to finish and get the monster on the track regularly. I have been tempted to garage the car until I get a house, get things settled and have available funds, however I do not like the idea of storing the car for a long time, even in a dry environment. The car would just rot and problems would arise so in the end - I might either run it into the ground and get my fair use of the engine which has many many miles left on it or sell it on for somebody to either carry on or just enjoy it in its current state of tune. However if I was to win the lottery or come into a lot of money and get myself sorted, then hell yeah I would finish it off, damn I might even forget about the turbo and just go proper BTCC style and modify the NA engine to silly power! I can only dream! Do you think your future is with Primeras or time to strike out and try something new? I am actually itching for a 200sx S14a Touring, I love these cars and in my eyes, it's the next best option that I have. They look stunning and aggressive but they do not stand out like a sore thumb. And with a few tweaks here and there, they can be really nice to drive. Whatever you drive we hope to see you around the NPOC stands for years to come, are you planning on making the events this year? Oh, I will most certainly be sticking around for a fair while yet! I have made so many good friends on the owners club and everybody is so helpful. Regardless of what car I have, I will, without a doubt be at JAE. If I have the Primera still, it will be on display on the NPOC stand! As for other shows/meets well I'm usually a last minute type person so who knows! I would just like to thank everybody on here for everything haha!! From just been there as friends to helping me out when it comes to things for the car, this is by far the best owners club I have come across and I certainly wont be running away any time soon!